The 21st century is the century of the internet. The expanding pace and speed of the internet are presently accessible at the low server cost. With the advancement of the web, the use of technology does not lag behind. The developing innovation has revolutionized the way of saving and sharing a file. From the utilization to a floppy disk, to CDs and ultimately to the USB flash drives, the size of storage devices goes smaller while their capacity limits turn out to be high. Today a great transformation has taken place and now one can access his file from any terminal at any time with the help of cloud computing. 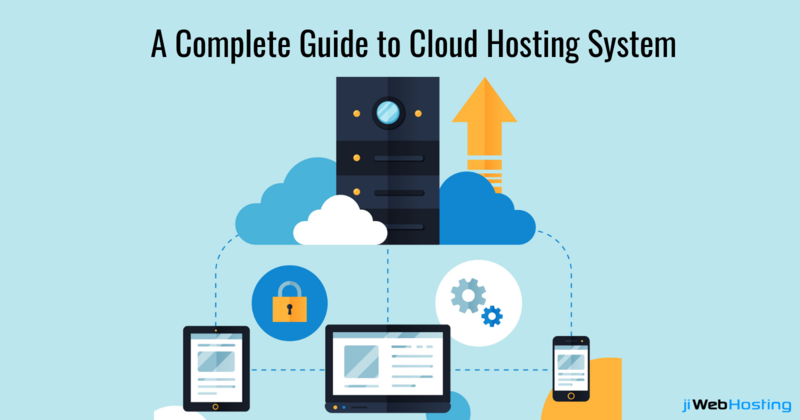 Cloud hosting is defined as an electronic structure that stores data over different computers that are connected via a network connection, like the internet. It provides provision to the companies to access digital resources over the internet. The introduction of cloud hosting offers the potential to increase available resources vastly, thus reduces the dependency on hardware and software for storing data. It also prevents users from storing data on their hard drives and even allow downloads of the stored file over any computer. One can edit the file in word or powerpoint with other users thus it offers a suitable way to work even when away from the office. The cloud and the internet differ from each other in few aspects. Talking about the cloud, it is usually a small part of the whole internet. Thus, it can be said that the internet is the macroscopic cloud system. Both cloud hosting and internet, allows us to connect a device to share data, stories, ideas etc thus increases the connectivity between humans. Checking emails from anywhere by logging onto a cloud-based webmail client. Saving a file or document on online cloud storage account and accessing the same later on at work in another device. Sharing an online spreadsheet with your colleagues working in different locations. Renting software applications and saving your online created documents. If you are one of the executives running a huge firm, then you might come across analyzing the tasks like checking the hardware and software needed to do a job, purchasing a computer for everyone, buying new software for every newly hired candidate etc. This demands a lot of money and increases stress. But the growing technologies offer an alternative way, cloud computing that helps executives like you in easing your task. Instead of installing different software, one needs to load one application that allows the user to do their job easily. This application assists in doing and managing the simple task and in handling complex data analysis programs. The cloud computing system includes two sections: front end, and the back end. Both the sections are connected to each other via a network. The front end section is the one that the user sees while the back end signifies the cloud section of the system. So the front end includes the client's computer while the back end of the system includes various computers, servers and data storages system that create a cloud of computing services. The central server of the system includes the administration that monitors traffic and client demands and makes sure that everything is running smoothly. This is done by following a set of rules called protocols and by using a special kind of software called middleware. The software allows the computers to communicate. A big firm with many employees even require hundreds of digital storage devices. Cloud computing device requires twice the number of storage devices to store the client's information. A cloud hosting system makes a copy of client information and stores it on another device. The central server then accesses the backup files to retrieve data. This process of making copies of data as a backup is called redundancy. Cloud computing is thus described as a new technology that offers unique advantages to benefit you and your business. If you too are tired of spending a huge amount of money on purchasing software and in meeting employee demand then rely on jiWebHosting. We offer an innovative and vast array of tools that take your online business to great heights. So contact us and share your current ideas. We understand your need and will come with an engineered solution for all your demands.